NEWS: Shoppers raise over £500 for nominated charity, Heel & Toe Children's Charity! 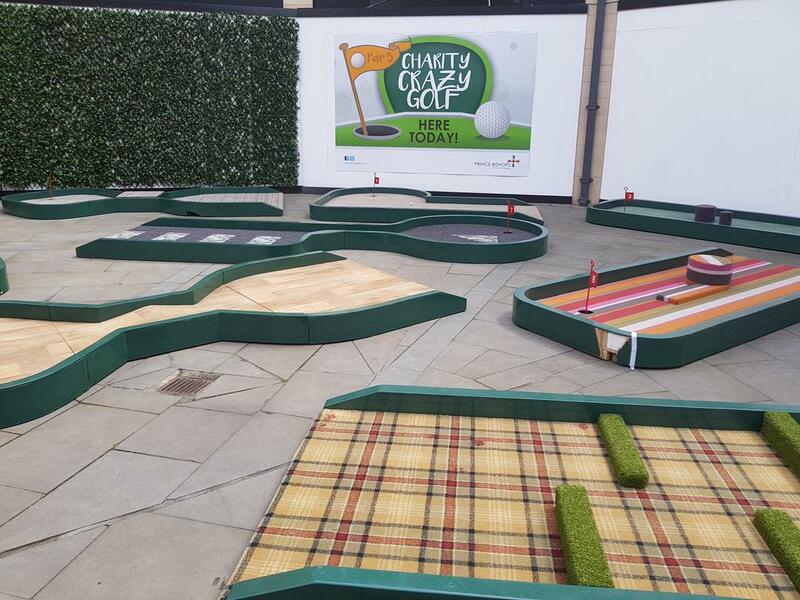 During the May Half Term holidays , shoppers enjoyed Crazy Golf right in Durham City Centre and it was all for an amazing cause! A poll on our Facebook page ealier in the year lead to Heel and Toe Children's Charity becoming our nominated charity partner for 2017/18 and we are delighted to be able to support them with fun initiatives like this! Over four days in May Half Term we raised £533 which is a fabulous amount! A huge thank you to all who volunteered their time ensuring everyone had fun and also to our shoppers who had a go!